2. The output signal is very weak. The reason is that the connectors of the output jack are in connection with the cavity walls, and are shorted out by the electrically conductive shielding paint. 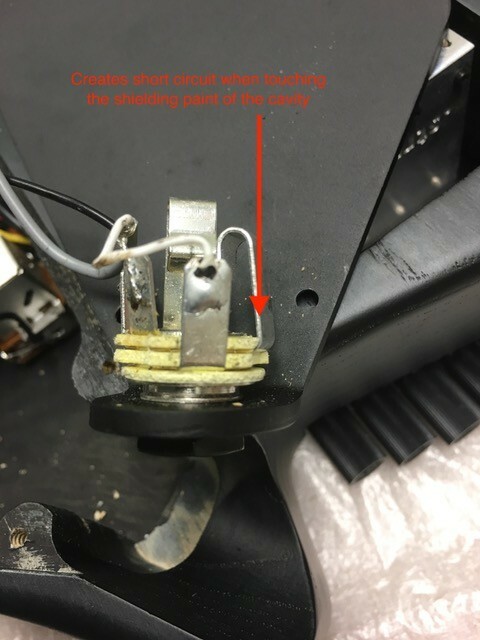 The short term solution on guitars that ship now is to use shrink tubing to ensure that the short circuit cannot happen. The longer term solution involves changing the manufacturing process to ensure that this condition is not present. 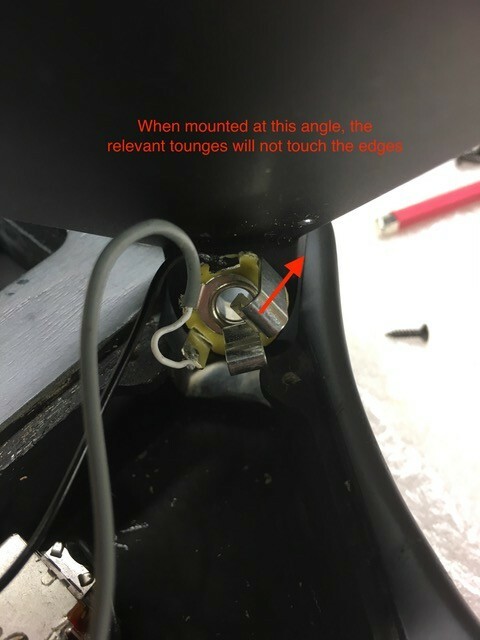 An immediate solution, if you are having this issue, is to simply re-orient the jack so that the relevant connectors do not risk touching the walls of the cavity, as the below pictures show.